This is a bespoke course aimed at companies who require operators to undertake some basic slinging and signalling operations as part for their day to day work activities. It is advisable that candidates should have at least a basic slinging/signalling knowledge and a good general knowledge of health and safety. The aim of this course is to provide candidates with some practical and theoretical knowledge in basic slinging operations where the weight of the load is known, the load is evenly balanced and where there are defined lifting points for attaching accessories. Following successful completion of the course candidates will be able to select the correct lifting accessories, attach them to loads safely and guide the load using appropriate hand signals. This course may also be a useful refresher for those currently undertaking basic slinging operations. 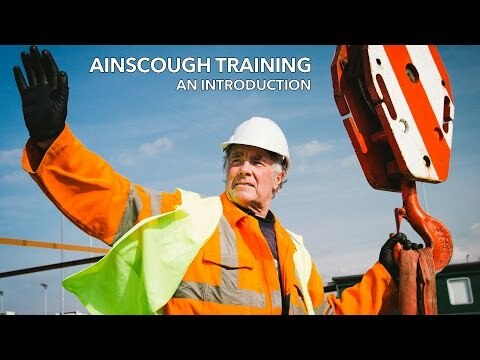 Successful candidates will be awarded an Ainscough certificate of training endorsed Slinger Signaller and will be valid for 5 years. Please note that on major construction sites this may not satisfy the training requirements where a CPCS card is required. If you are unsure please call the number shown below for further advice.